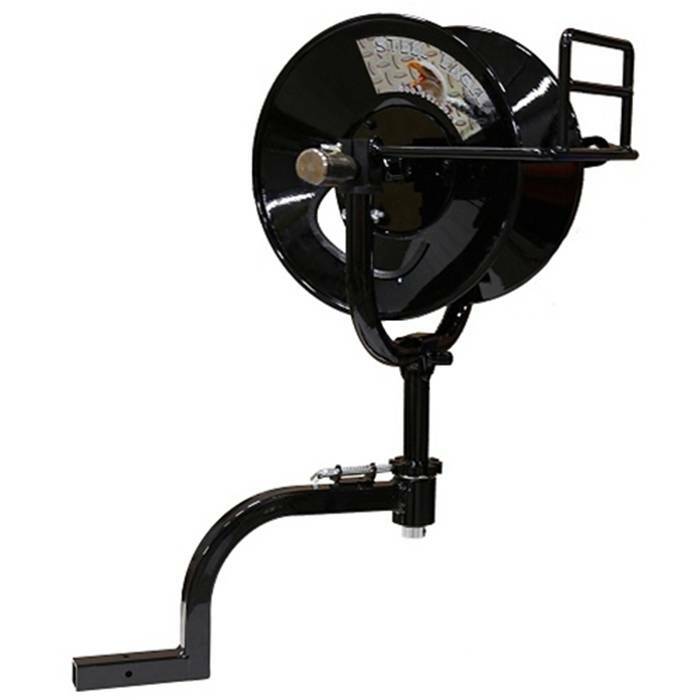 Steel Eagle heping make your life easier one Hose Reel at a time. Steel Eagle is a well-respected name in manufacturing, quality made in the USA from domestic components. There is hardly anything worse than being unorganized, especially when pressure washing. One of the most important tools for keeping things in order is the Hose Reel. Having the ability to keep your pressure hose or garden hose easily wound up and contained in one tight spot not only keeps the operator safe and neat but the others around you as well. The simplest reel being the manual or hand crank type is a good way to start. Most, if not all hose reels come with an adjustable braking mechanism to ensure that when you pull on the hose to unwind it you don’t have the whole hose uncoil all at once into a rats nest on the ground at the foot of the reel. Another part of the basic manual hose reel is the locking mechanism that keeps the hose from unraveling each time the trigger is pulled. One of the most important parts of the hose reel is the swivel. Although simple in function, the swivel is the most important part in the operation of the reel. The swivel allows for a high pressure hose to be attached at the core at a 90 degree angle to facilitate the turning of the drum to wrap the hose around without being twisted in a knot. A leaking swivel can be areal nuisance and can make a mess of the whole operation. Most swivels can be repaired or replaced in the field with simple tools. There are many different types of hose reels to choose from. This is just one type. Stay tuned for further installments of the different kinds of reels and there most applicable uses.